Triangle Fire Systems designed,supplied and installed the fire sprinkler system at Avant-garde on behalf of Telford Homes. 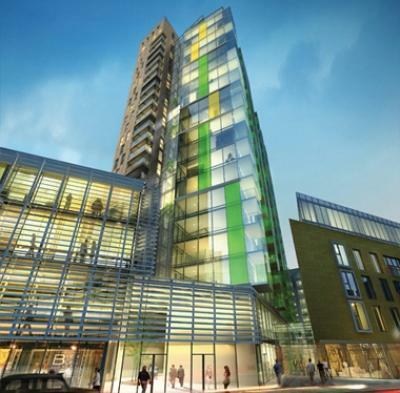 The 25 storey tower is at the height of shoreditch living, offering panoramic views across the city, and within easy reach of Londons most iconic locations. The apartments are superbly finished and as always we ensured that the sprinkler system met the same high standard.